Franciscan Park, known to most as the Bell Street Dog Park, is a lively spot on a sunny day. Paths loop around the grassy expanse and dogs roam under shade trees or trot along a dirt track overlooking Route 6. This parcel of land was once the opulent home of James Eddy, an engraver who built his fortune as an art dealer, and his wife Eliza Jackson Eddy. 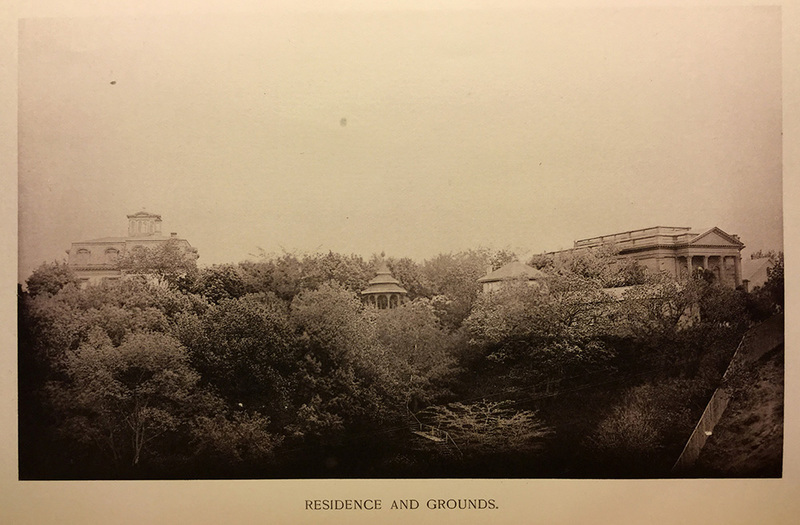 Their estate included multiple outbuildings, a large brick chapel for public worship, sprawling grounds, and curving walkways, all perched on a steep hill at the western edge of fashionable Broadway. Terraces cut into the hill and dramatic stairs descended to neighborhoods below. The house itself was palatial, with more than 20 rooms, numerous fireplaces, ornate woodwork in mahogany and walnut, and oak floors. A grand hall on the ground floor stretched the length of the house and opened up onto a round back veranda. 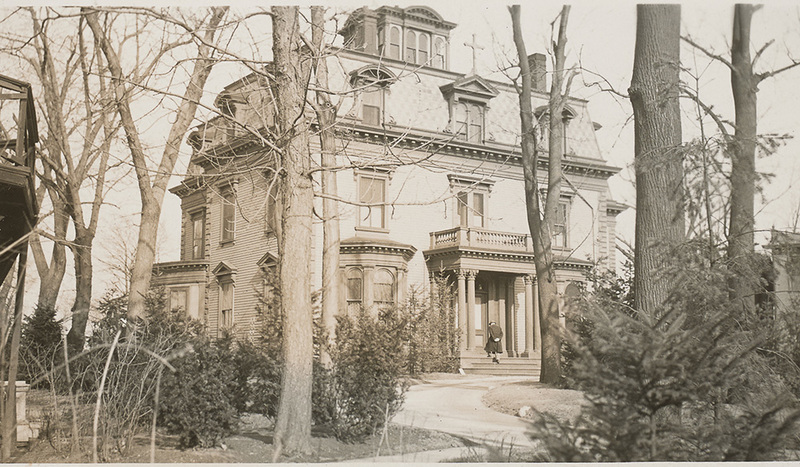 After James Eddy's death at the age of 82, his daughter Amy and her husband sold the three-story mansion and four-acre plot to the Catholic Diocese of Rhode Island, to be used as a convent, school, and nursery. 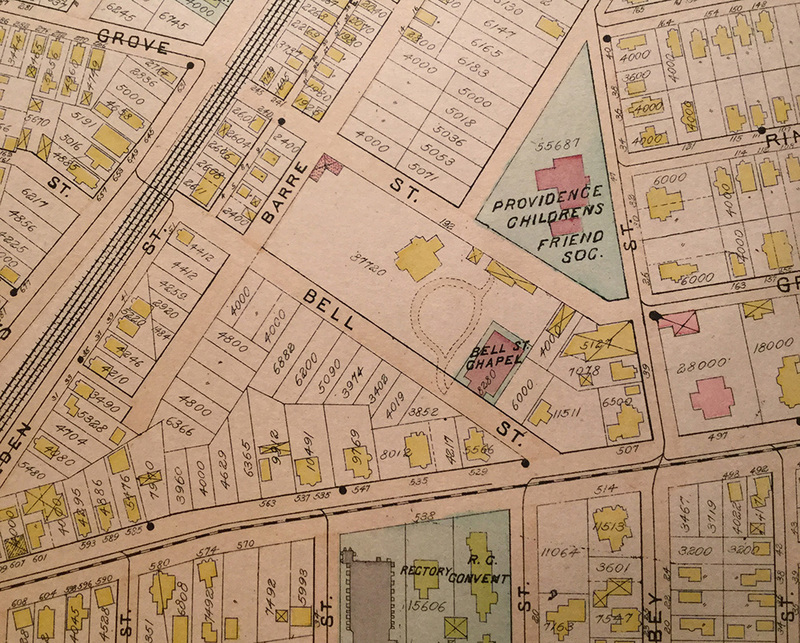 Under the Franciscan nuns' direction, the complex became a lively place, with classes, recreation, and religious education, as well as one of the nation's first Montessori schools, all serving predominantly Italian immigrants from the neighborhood. During the Great Depression, the nuns distributed food and clothing to needy families, and handed out bagged meals to the homeless from a shed on the property every day at noon. After years of declining enrollment, the Franciscans' nursery closed in 1972. The nuns moved out of the building in 1977, and the Diocese put the buildings and land up for sale. A developer eyed the site for a 120-unit apartment complex for the elderly, but his plan was denied by the city's zoning board. In March of 1979, the mansion was heavily damaged by a fire and was later torn down. 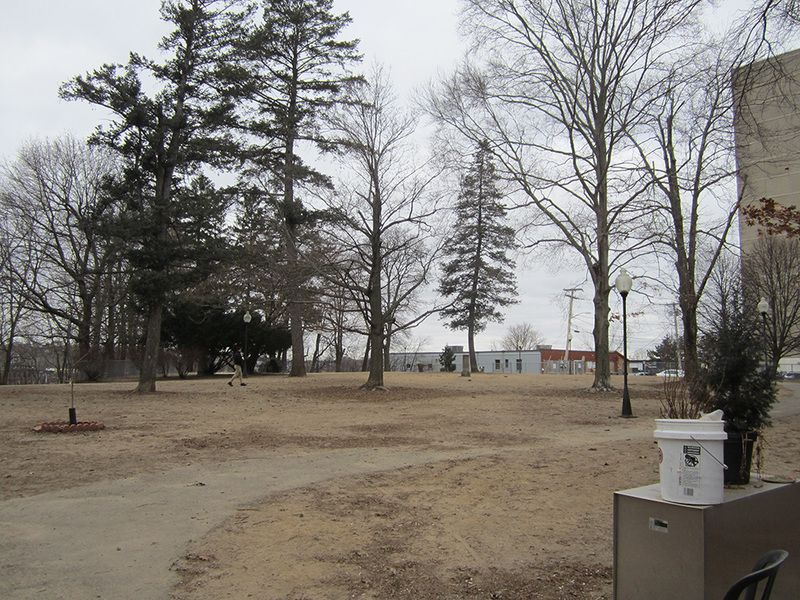 In 1995, then-mayor Buddy Cianci announced at a Providence Preservation Society meeting that the city would purchase the site and turn it into a park. Franciscan Park opened in 1999, named after the Franciscan Missionaries of Mary and their influential stay there. A biographical sketch of Eddy described his ambition, spiritual enthusiasm, and interest in physical health, noting that he was a vegetarian for many years. He was politically progressive, an anti-slavery advocate with an interest in the temperance and women's rights movements. Learn more about the Bell Street Chapel, the only remaining building from the Eddy Estate, from this Rhode Tour pin. Angela DiVeglia , “Eddy Estate,” Rhode Tour, accessed April 23, 2019, http://rhodetour.org/items/show/341. "Fire damages old mansion on Bell Street." Providence Evening Bulletin, March 29, 1979. "Gray nuns acquire big Harris estate." The Providence Journal, Oct. 13, 1923. James Eddy: Biographical Sketch, Memorial Services, Selected Thoughts. Providence: J.A. and R.A. Reid, 1889. "Nuns spurn donations to keep their convent." Providence Evening Bulletin, May 19, 1977. "Old convent eyed as apartments site." Providence Evening Bulletin, Jan. 25, 1979.